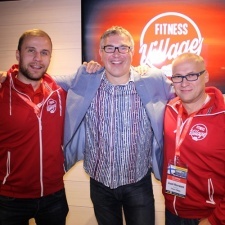 During our recent trip to Helsinki for Pocket Gamer Connects, we took time out to visit the Fitness Village team for a guided tour of their branded gym and a chance to see how their app was shaping up as it prepares to expand beyond the Finnish market. It’s fair to say the start-up looks to be in appropriately rude health so far. The app has received rave reviews from both gamers and fitness and sports professionals, and certainly proved popular at PGC Helsinki, with over 500 visitors to their booth. 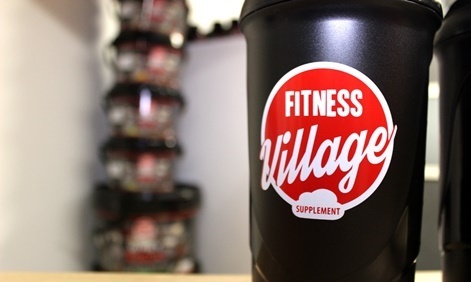 Created by a team with a strong heritage, for instance founder and chairman Jouni Herranen boasts over 20 years in the sports and wellness business, the Fitness Village concept combines some of mobile gaming’s hottest trends with a drive for real-world fitness. Think casual gaming mashed up with incentivised work-outs and a dash of Pokemon GO-style exploration and you won’t be far off. Indeed, like Pokemon GO, the ideal behind the app is an inherently positive one – essentially encouraging players to live a more active and healthier life. The game essentially breaks into three areas. Firstly there are the mini-games that are similar to a lot of casual clickers you’ll be familiar with (albeit with an exercise based-theme). Then you have the location-based challenge missions encouraging you to walk/run your city (here’s your Pokemon GO aspect), and finally the ability to sync directly with gym and fitness equipment. All modes enable you to earn points that not only allow you to progress your in-app character, but also translate into a digital currency, which can be exchanged for real-world benefits and offers. The latter could be anything from gym classes to discounts on goods and foods, and to demonstrate the potential, the company has already set up an agreement with the Subway chain in Helsinki allowing users to earn discounts through exercise. What was particular interesting to see during our trip to the Fitness Village Centre was how the app synced relatively seamlessly with a range of machines in the gym environment. 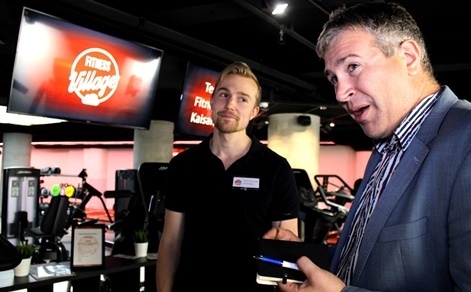 Although we were testing in their own branded gym, the technology is purposefully agnostic and already able to pull information from most of the major smart-fitness brands including specialist gym equipment and the likes of Fitbit, with plans to stay open and add more. Indeed, we even discussed how the system could extend further into more old-school exercises with gym staff or trainers able to validate workouts or classes undertaken and add to the app. Although the company has limited its initial activities to the Finnish App Store thus far it's fair to say they are just warming up, and, having tested out the sensors, game mechanics and other technical aspects such as in-partner content, they are now making plans to flex their muscles on a global scale. More soft-launches in other territories are planned by the end of the year, ahead of a global roll-out at the start of 2018. We were encouraged by putting the app through its paces and intend to keep a close eye on how it buffs up in the months ahead. If you want to ask more in the meantime you can connect with Jouni Herranen or Klaus Kääriäinen direct or set a date to meet with them face-to-face at PG Connects London on January 22nd to 23rd 2018.